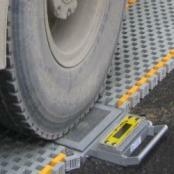 Portable Wheel Weighers are used by many different types of customers. 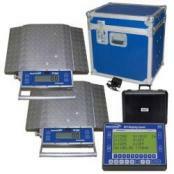 Intercomp's longest serving fully-electronic, portable wheel load scale is the PT300. 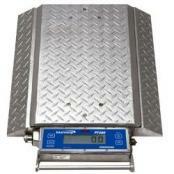 Individual scale capacities from 10,000 to 25,000lbs (5,000 to 12,000kgs), with a lightweight platform, weighing just 40lbs (18kgs), so they can be used anywhere. Meanwhile, the LP600 low-profile with integrated ramps simplifies on/off loading with a platform size large enough to accommodate dual tires. 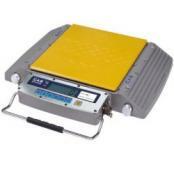 Machined from aerospace grade aluminum, these sturdy weigh pads are ideal for municipal and county law enforcement agencies. 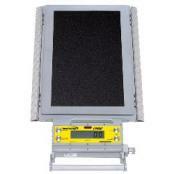 CAS RW-S & L Series Wheel WeighersThe CAS RW-S and RW-L Wheel Weighing Scale is designed for mobile weight inspection. 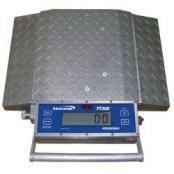 Connect up to 6 scales for mulit-axle weighing. 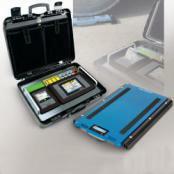 Ideal for mobile weight inspections and safeguarding against overload weight vehicles. Available in NTEP version. 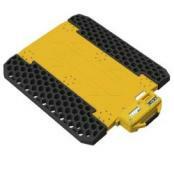 Capacity of 10,000 or 20,000 lb. 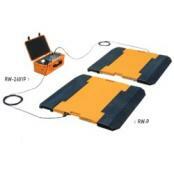 RW-S weighing platform is 12.2" x 13.4" while the RW-L is 24.6" x 13.4".